Tooth agenesis (TA), the failure of development of one or more permanent teeth, is a common craniofacial abnormality observed in different world populations. The genetic etiology of TA is heterogeneous; more than a dozen genes have been associated with isolated or nonsyndromic TA, and more than 80 genes with syndromic forms. In this study, we applied whole exome sequencing (WES) to identify candidate genes contributing to TA in four Turkish families. 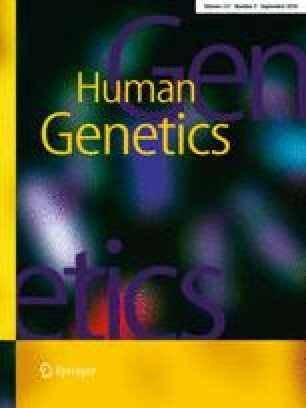 Likely pathogenic variants with a low allele frequency in the general population were identified in four disease-associated genes, including two distinct variants in TSPEAR, associated with syndromic and isolated TA in one family each; a variant in LAMB3 associated with syndromic TA in one family; and a variant in BCOR plus a disease-associated WNT10A variant in one family with syndromic TA. With the notable exception of WNT10A (Tooth agenesis, selective, 4, MIM #150400), the genotype-phenotype relationships described in the present cohort represent an expansion of the clinical spectrum associated with these genes: TSPEAR (Deafness, autosomal recessive 98, MIM #614861), LAMB3 (Amelogenesis imperfecta, type IA, MIM #104530; Epidermolysis bullosa, junctional, MIMs #226700 and #226650), and BCOR (Microphthalmia, syndromic 2, MIM #300166). We provide evidence supporting the candidacy of these genes with TA, and propose TSPEAR as a novel nonsyndromic TA gene. Our data also suggest potential multilocus genomic variation, or mutational burden, in a single family, involving the BCOR and WNT10A loci, underscoring the complexity of the genotype–phenotype relationship in the common complex trait of TA. Renqian Du and Nuriye Dinckan contributed equally to this study. The online version of this article ( https://doi.org/10.1007/s00439-018-1907-y) contains supplementary material, which is available to authorized users. We appreciate the participation of the patients and their families in this project. We also thank Dr. Ousheng Liu and Dr. Davut Pehlivan for helpful discussions. This work was supported in part by the Scientific and Technological Research Institution of Turkey, TUBITAK-ERA NET (CRANIRARE-2, grant number: SBAG-112S398), Istanbul University Research Fund (Project No: 48398), National Institute of Dental and Craniofacial Research (NIDCR) R03-DE024596 (to AL) and the Baylor-Hopkins Center for Mendelian Genomics, BHCMG (UM1 HG006542, to JRL). The BHCMG is jointly funded by the National Human Genome Research Institute (NHGRI) and National Heart Lung and Blood Institute (NHLBI). The GSP Coordinating Center (U24 HG008956) contributed to cross-program scientific initiatives and provided logistical and general study coordination. JEP was supported by NHGRI K08 HG008986. NW was supported by 2016 Milstein Medical Asian American Partnership Foundation Fellowship Award in Translational Medicine. JRL has stock ownership in 23andMe and Lasergen, is a paid consultant for Regeneron, and a co-inventor on multiple United States and European patents related to molecular diagnostics for inherited neuropathies, eye diseases and bacterial genomic fingerprinting. Other authors declare that they have no conflict of interest.